Written Area: 240mm x 140mm. Ink nearly completely faded. Bookworm damage. Rubrication. 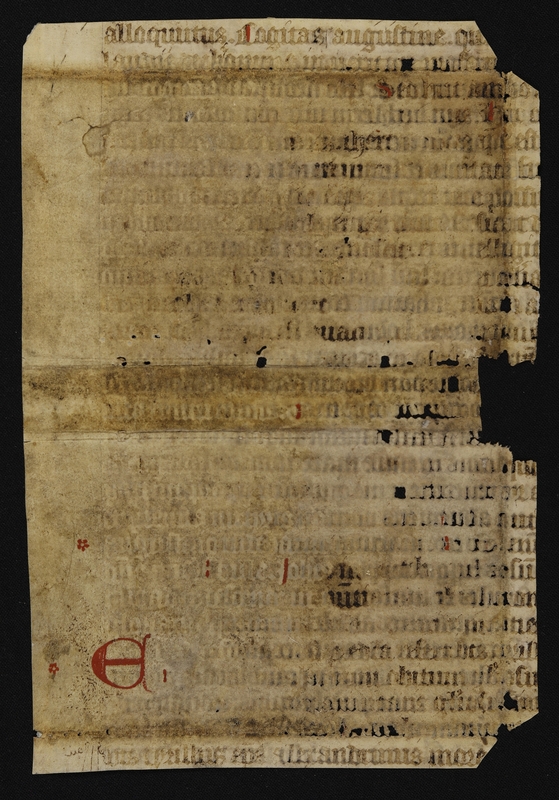 First Lines of each side: alloquutus. Logitas augustine / ...bis uideatur mirabile, si talia uidetis. 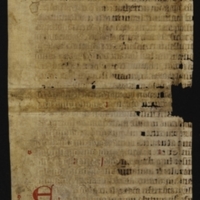 Content: Pseudo Augustine, Epistola de Magnificencia B. Hieronymi & Pseudo-Cyril, Epistola de Miraculis Hieronymi. 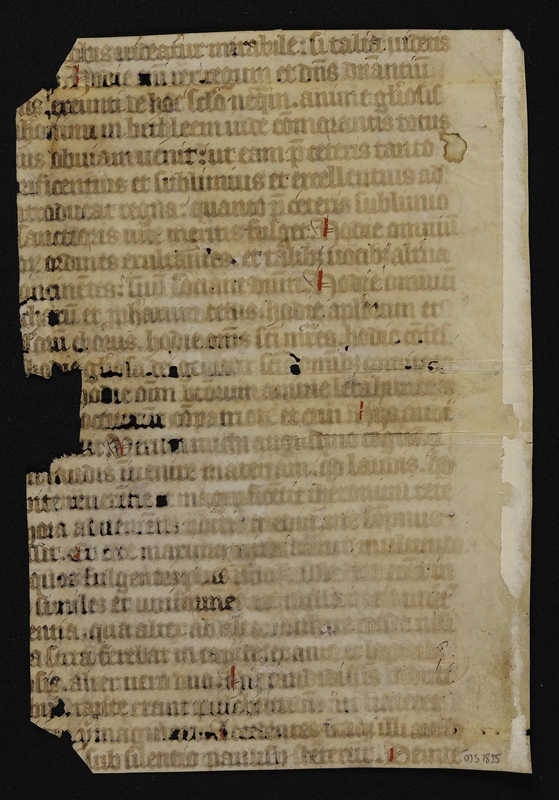 According to Bischoff's pencil note, this is a composite text, comprising Patrologia Latina vol. 22 286D, 287A, 288AB, 323B. Have Rosenthal's notes ('Manuscripts from the Collection of Professor Bernhard Bischoff', p. 4 no. 10). 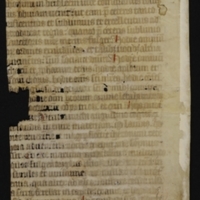 Physical Size: Defective vellum leaf (240 x 162mm).